The Anglo-Belarusian Society is happy to invite its members and friends to Mother Language Day Celebration. This year the celebration will be in memoriam of Siarhiej Vituška. 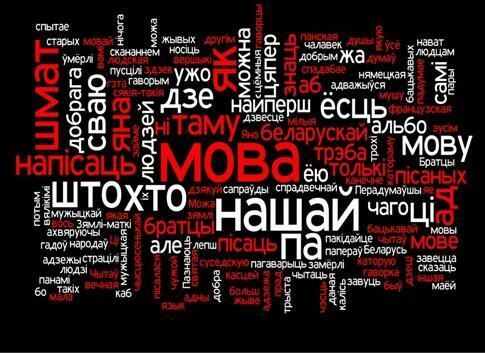 The event will mark the UNESCO Mother Language Day – all languages are welcome and particularly Belarusian and English. The celebration will start on Saturday 9 March 2013 at 2 pm at the Belarusian Religious and Cultural Centre (Marian House, Holden Avenue, London N12 8HS). 2 pm – Presentation in memory of Siarhiej Vitushka, one of the most inspirational figures of the Belarusian Revival in the 1980-90s, leader of the well-known Talaka (Miensk), a historian, teacher, and children’s author. 2.30 pm – Children’s programme. Short poems, chat, whatever they would like to do in Belarusian. A small present for all the children who participate. 3 pm – for the adults. Read your favourite poem in Belarusian, English etc (no need to learn it by heart!). There will be a prizes (the £50 Alexander Lutsko Prize* and smaller prizes for children) for the best reading. 4 pm - Members of Manifold, the poetry group founded by Vera Rich, will also take part. * Dr Alexander Lutsko was Rector of the International Sakharov College of Radioecology in Minsk until his death in 1997. The prize was instituted by Dr Alan Flowers at the Society’s first celebration of the UNESCO Mother Language Day in 2009. This entry was posted in ABS and tagged belarusian language, belarusians in london, mother language day, vera rich, vitushka. Bookmark the permalink.